. Published on Wednesday, June 20, 2018 . We know that making healthy choices isn’t always the easiest while attending college. Late night fast food runs or munching on a bag of chips seem like the best option, but there are many places to get fresh, locally grown produce to stock your refrigerator with! Here are a few of our favorite farmers markets around the area to visit and when they are open for business. Looking for the freshest fruits and veggies around? The Alhambra Farmers Market is known for their variety of organic produce that will leave you wondering, Whole Foods, who? After you gather your fruits and vegetables, you can’t miss out on the fresh bread from the Rancho Cucamonga-based bakery, Old Town Baking Company. You can add the Alhambra Farmers Market to your weekend grocery run since the market is open each Sunday from 8:30 a.m. to 1 p.m.
Each Wednesday from 4-8 p.m., the Altadena Farmers Market sets up shop on Palm Ave in the charming Pasadena suburb of Altadena. While most farmers markets are in business on the weekends, this is the perfect market to head to after a day of work or classes! Stroll the street and you will find local, friendly vendors, including The Gastrobus, Star Sky Granola and Soup Bazaar. Our sweet tooth can’t go without mentioning the decadent flavors and ice cream sandwiches from the Pasadena-based Carmela Ice Cream truck! If early-morning farmers markets aren’t exactly your speed, kick off your weekend at the farmers market within the Monrovia Street Fair each Friday from 5-9 p.m. and 5-10 p.m. in the summer! This is more than just a market—it is the perfect spot for a date night or family outing! Pick up some fresh produce, handcrafted jewelry and tasty desserts while enjoying live music surrounded by the hills of the San Gabriel Valley. Sundays from 8 a.m. to 1 p.m., rain or shine, Second Street in the adorable Claremont Village is transformed into a showcase of the best farmers and artisans in the area. From used books to handmade soaps, there is much more to this market than just produce! You also can’t beat the gorgeous bouquets of flowers for just $5. Once the market wraps up at 1 p.m., you can explore the Village and grab a bite for lunch. Sunday plans=made. 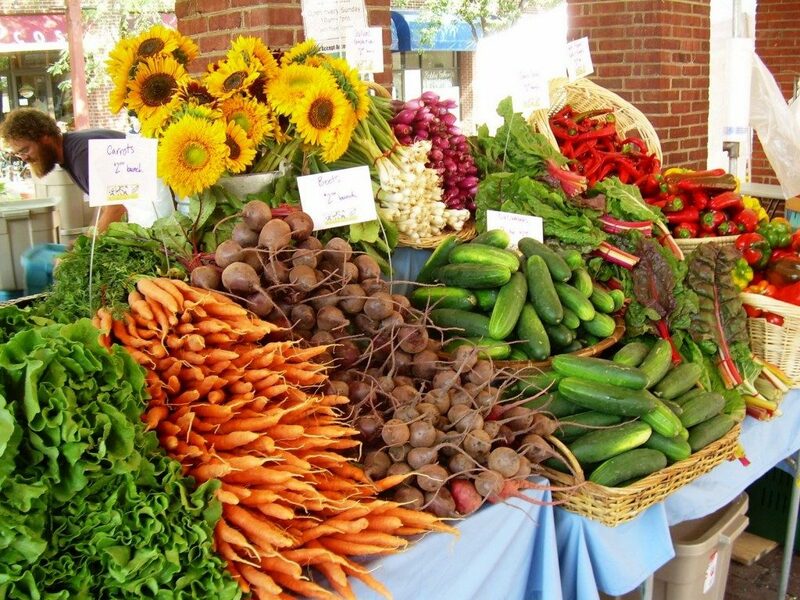 Which one of these farmers markets will you be making the trip to? Share with us using the hashtag #CampusCropChat on Facebook, Twitter and Instagram. Don’t forget to follow us on Snapchat @asicpp!